Claim To Fame: Charles Robinson is an American theater, television and film actor. 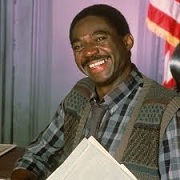 He is best known for his role on the NBC sitcom Night Court as court clerk and Vietnam War veteran Macintosh "Mac" Robinson, from Seasons 2-9. Family Life: Robinson was married to Venus Duran, with whom he has three children. He is currently married to Dolorita Noonan and they have three children together. Info: As a teen, Robinson was a singer with the group Archie Bell and the Drells, and later with a group called Southern Clouds of Joy. Enrolled in, Studio 7, an acting school operated by Chris Wilson at the Houston Music Theatre. Worked at the Oregon Shakespeare Festival. 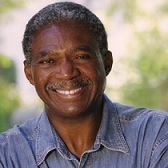 Robinson appeared as "Troy" in August Wilson's Fences in Southern California's South Coast Repertory in Costa Mesa. 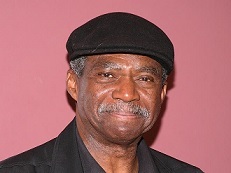 In September 2013, he returned to the theater to portray Willy Loman in Death of a Salesman. Trivia: Is a member of the Actors Studio. Is considered by Playwright Lyle Kessler to be "one of the great American Actors." Directed three episodes of Night Court. Where Are They Now: Robinson is busier than ever these days! Robinson is in two films, Underwater Upside Down and Senior Entourage, both currently in post-production. Plus, he's been cast in the new television series Just South of Normal.